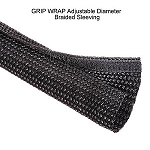 PET Wrap provides the same flexibility and abrasion resistance as the PET Expandable Braided Sleeving but with the added feature of a hook and loop closure running the length of the material. This allows you to work on segments of the cabling, rather than having to remove the entire covering and re-run all of its contents. 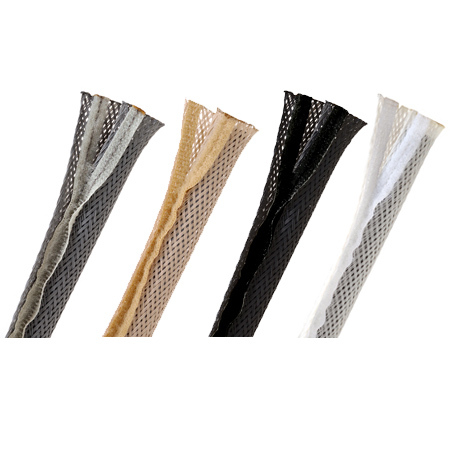 If your particular application requires a higher level of heat resistance, there is also Flame Retardant PET Wrap, which offers added protection against fire with an organic flame inhibitor. 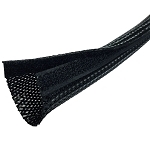 It is also available in diameters from ½” to 2” and comes standard in black with a white tracer. Available in diameters from ½” to 2”, and in black, white or beige. Smaller lengths will be continuous. 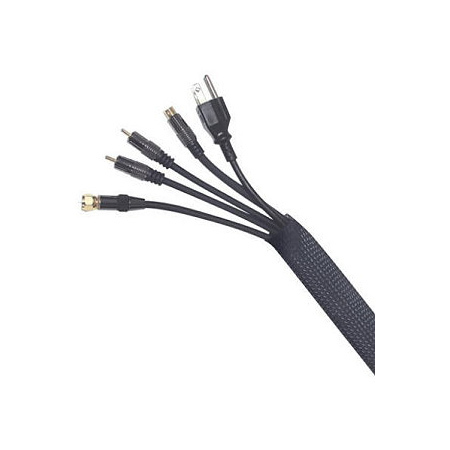 This product worked extraordinarily well for my install of my Samsung UN60F8000BFXZA flat screen. I bundled the HDMI's/RCA cables (separate) and power cord (separate) in the zipper sleeves and then zip tied to my Chief PRD-UB mount. Then I used the velcro closer sleeve to bring zipper sleeves into one sleeve. 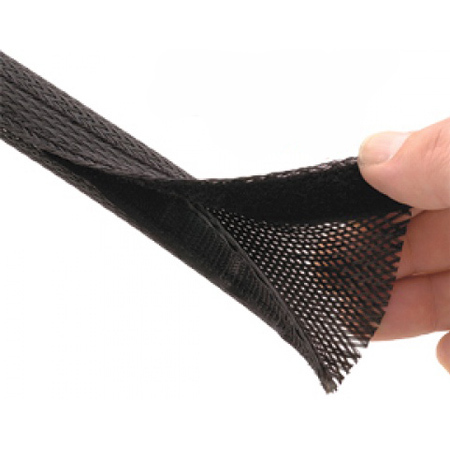 This velcro sleeve was then chased into black 2"X2" surface mount ducting. I could not have paid anyone any amount of money to accomplish this. But I did with Electriduct's products. Great product, however, I ordered 5 feet and it wasn't cut with a hot knife so upon arrival both ends had frayed so much I had to cut off at leat a foot and seal. Works like a charm and very easy to work with... Looks great also!